Sergeant Archibald Dethridge Campbell died on 1st February 1942 when his Hudson AM604 came down after clipping trees near RAF Aldergrove, Co. Antrim. 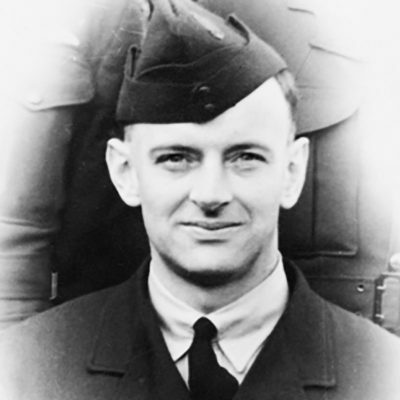 Archibald Dethridge Campbell was an Australian of Scottish descent who enlisted in the Royal Australian Air Force during the Second World War. Sergeant Archibald Dethridge Campbell (400858) served in the Royal Australian Air Force during World War Two. Born on 26th December 1908, he was the eldest son of Archibald George James Campbell and Amy Campbell (née Dethridge) of Stawell, Victoria, Australia. Campbell married Mary Watt North of Kilsyth, Victoria, Australia in 1937. The couple had 2 sons; Bryan Campbell and Robert Campbell, and a daughter; Margaret Campbell. Newspaper reports from Australia in February 1942 make special reference to relatives. His uncle was the late Judge Dethridge while his grandfather was a renowned ornithologist Archibald James Campbell. Campbells had been in Australia since his great-great-grandparents settled from Glasgow, Scotland in 1840. Archibald studied agriculture at Melbourne University before entering the education sector. Before the outbreak of war, he worked as a school teacher. Sergeant Campbell died on 1st February 1942 aged 33 years old. He was an observer on Lockheed Hudson AM604 flying with RAF 206 Squadron. The crew took off from RAF Aldergrove, Crumlin, Co. Antrim on a non-operational aerodrome defence exercise. A loved husband and father of Bryan, Robert, and Margaret. If you enjoyed this post on "Archibald Dethridge Campbell", please share with your friends and followers. Sergeant Leslie George Chapman of RAF 231 Squadron was an air gunner at the time of his death in an aviation accident in Co. Tyrone on 11th March 1942.